Sameh and Saed Wadi, the brothers behind World Street Kitchen and Milkjam Creamery in south Minneapolis, are turning their attention east to St. Paul. They’re partnering with Cajun Deli owner Thien Ly and opening Grand Catch. “I couldn’t really tell, and it was really stressing me out. I was going insane,” said Wadi with a laugh. Several days later, the solution dawned on him: black cardamom. Other items will include po’ boys, a few appetizers and some side dishes, with seasonal seafood brought in from Louisiana fisheries, taking advantage of Ly’s work in that industry before moving to Minnesota. A full bar, too. 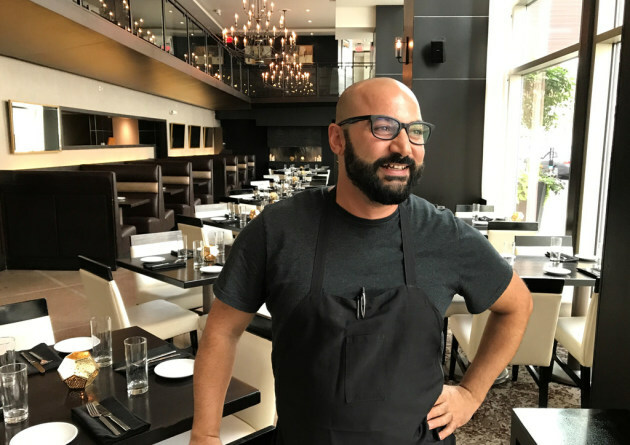 “I’m excited about creating cocktails and selecting wines and beers that will pair with this spice-forward food,” said Wadi. The spot? 1672 Grand Av. in St. Paul, in the home of the short-lived Grand Central. Wadi said that the design will have a “slight nautical theme, but nothing overly kitschy,” and more finesse than the standard fish boil hole in the wall, with the too-bright fluorescent lights and plastic everything. They’ll also take full advantage of the “gorgeous” alleyside patio, he said.